The protagonist is born into an "Our Crowd" family of New York merchants, artists and bankers at the very end of World War II, which has already claimed the life of his natural father. His widowed mother flees the claustrophobic public mourning expected of her in Manhattan and escapes to a small town in Northern Vermont. Her son is raised from the age of two in this small, French-Canadian, Catholic step-family and remote farming community. By prior agreement with his grandmother, a steam train shuttles him annually between his visceral life in Vermont working for a neighboring farmer and, later as a teenager, on a logging crew, back into the rich cultural life of his grandmother, great-grandmother and their coterie of artist friends in Manhattan. He is the great nephew of Alfred Stieglitz whose tenure in New York art and photography circles defines much of his time in New York. These travels back and forth between two polar cultures will come to define him as a person, though the cultural contrasts prove irreconcilable for him as a child. 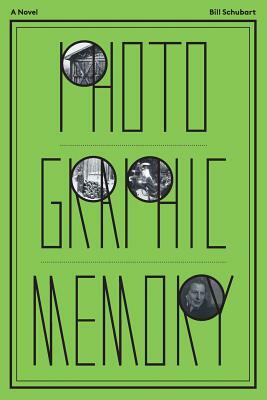 Photographic Memory is also about the impact of photographs on memory. Are the photographs themselves the memory or do they merely record it? We look back into our childhood and see images. Some are recalled images of people and places; others are recalled photographs. So then, is memory the repository of our past or are the photographs ... or both? A shutter opens, exposes film to fragmentary images. Eyelids open; transduce an image into impulses we store in tissue. Is the image's longevity imprinted by the accompanying emotion? Is our later recall triggered by mnemonic cue or resonance? Images exposed and edited by people we never met inhabit memory. Their photographs fade and curl in dusty albums. Who caught the sepia image of an unknown father, grandfather? They made so many choices we must live with. And what of dreams? Are they projections sleeping memory makes of all these stills? Photographic Memory is wholly a work of fiction but, like all fiction, has its genesis in reality.